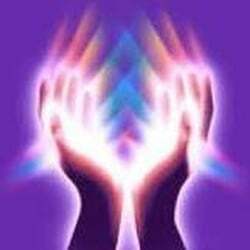 What Happens During a Love Psychic Reading? What Kinds of Love Readings are There? Most of us seek our soul mate to complete our lives. The problem is that finding our soul mate can be a long and tiring journey. A hardship wrought love life can be a trial for even the most dedicated love seeker. This is why so many turn to a skilled love psychic to light a lantern on this otherwise dark path. You can find my list of the best love psychics here. First let's examine a general psychic. These are individuals who are blessed with the ability to see beyond the mundane using a sense that is believed to be different from the typical human senses. This extrasensory perception, or ESP, lets them see into the future or commune with spirits. A love psychic is someone who has gifts that help them to sense emotions and relationships better than other aspects of life. They may also enjoy helping people to find their soul mate. Others may have a knack for helping their clients to see more clearly their own relationship statuses and situations. If you choose to get a love psychic reading your reading will be quite focused on just your love life. You can look forward to receiving a very detailed examination of your current status and any relationships you may be in. Many people like to get a love reading when they start a promising relationship. A good reader can help you to see if this relationship will last, if it will end in marriage or if it is just a short term thing. A good reading will also be able to steer you in the most positive direction possible. Others like to get readings if they are in a bad point in their current relationship. A love psychic can see through the anger and pain. They can help you to end it forever or patch it up. If you are not in a current relationship, a love psychic can still be useful. They can help you to turn a new leaf in your search for love. They can help point you towards those individuals who will make good partners for your lifestyle. And, they can help you to pinpoint and examine those faults within you that may be preventing you from finding true love. Valentine's Day is a popular time for these kinds of readings. After all, why sulk alone when you could be enjoying yourself with a great partner? There are many types of love reading styles. There are some love psychics who read simply, with nothing but their own raw talent. Others prefer to use tools to focus their abilities. Several popular tools include crystal balls, Tarot cards, Lenormand cards and angel oracles. Other readings, such as past life readings, can also focus in on your current incarnation's love life. If a reader is using cards they will use special layouts designed to tap into you love energies. Many card readers will use a particular deck to read with, as well. Those who use crystal balls or other tools may have similar preferences. Many readers will combine cards and clairvoyance for the best reading possible. A love reading can be very intense. Many times you will feel many strong emotions, one after another. This is because a love reading is focused directly on you, your emotional being and how you relate to others in your love affairs. A good love psychic understands that and will be able to work with you and help you to understand and overcome your hurdles to true love.